Elliot Alderson is the protagonist in the tv show Mr. Robot. The show follows Elliot, a young programmer working as a cyber-security engineer by day, and a vigilante hacker by night. Elliot Alderson or just Elliot is the main character in Mr. Robot. He suffers from social anxiety disorder, clinical depression, delusions and paranoia. Looking to dress like Mr. 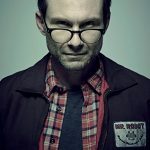 Robot / Elliot's father ? The bag that Rami Malek wears in Mr Robot for his Elliot Alderson role is a black tactical backpack with two large front pockets. The one on the top has two bands of MOLLE with velcro. 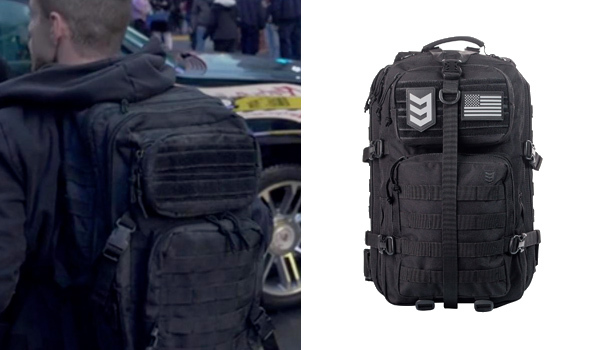 Contrary on what is often said, Elliot Alderson's backpack is not the Mil-Tec Patrol backpack but the 3V Gear Velox II . You just have to get rid of the front Y strap and you're set. 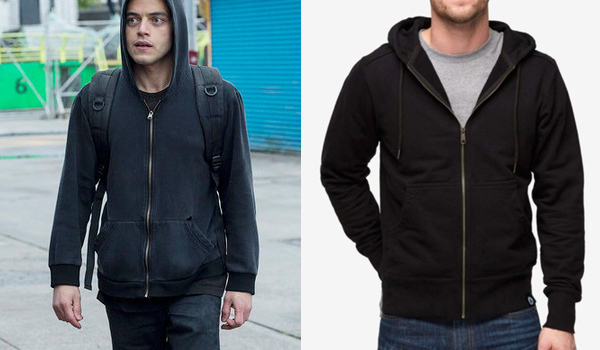 The hoodie that Rami Malek wears in Mr Robot for his Elliot Alderson role is a black zip-up hoodie with a copper-like zipper. It has been officially identified by the costume department of the show as the B:Scott Vintage Jacket but it is now discontinued. However, this Dickies hoodie is very similar, you'll just have to cut out the logo ! 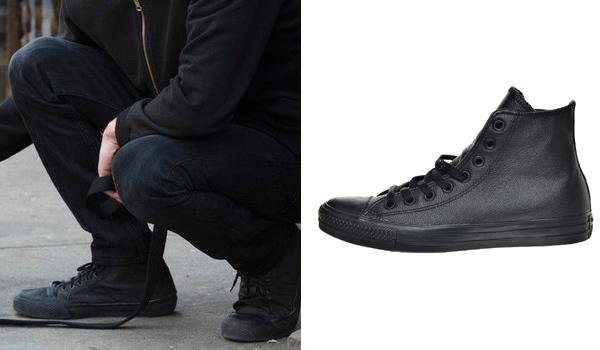 The shoes that Rami Malek wears in Mr Robot for his Elliot Alderson role are all black vintage sneakers. The black leather Converse Chuck Taylors are a close match. 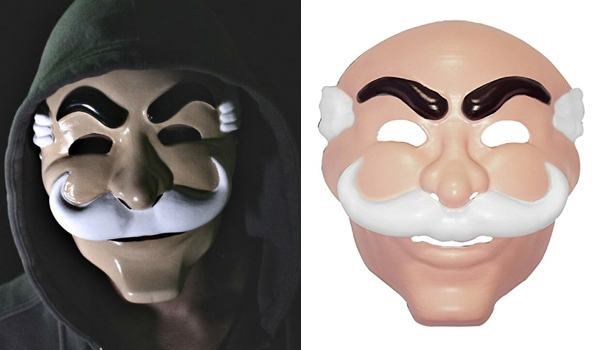 A cool bonus to have is also the fsociety mask that Elliot and many others put on during the show.